Net take-up is at 6% so far, higher than the 2-3% rates recorded in 2017. Singapore Grade A CBD office net absorption reversed the declining trend of 2015 and 2016 to hit a three-year high in 2017. This continued into 2018, as the take-up in the first three months of the year already broke the record in 2017, JLL revealed. Data revealed that office net take-up is around 6% for the first quarter of the year, significantly higher than the 2-3% rates observed in 2017. 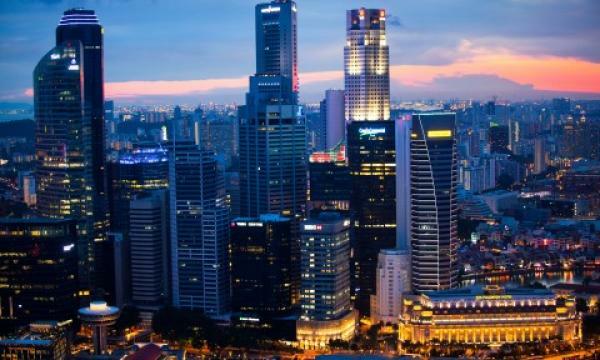 Demand in Singapore, wherein occupiers from technology, e-commerce, and flexible space operators moved into new supply, led the growth of office take-up in Southeast Asia, up by 6.8% in Q1. "Much of this net absorption was fuelled by occupiers moving into their premises in recently completed buildings such as Guoco Tower, Marina One and UIC Building. This was, in turn, underpinned by the pick-up in leasing activity on the back of the brighter economic conditions that lifted market sentiment and business confidence and encouraged take-up," said JLL Singapore head of research Tay Huey Ying. Occupier demand has been broad-based although technology and co-work operators have been particularly active in sourcing for space, Tay added. Major leasing deals signed by technology companies in 2017 included Facebook and Grab for 250,000 sqft and 100,000 sqft of space, respectively, in Marina One. "Co-working operators capitalised on the availability of space amidst competitive rents to expand their footprint to grab market share. Examples include JustCo’s space in Marina One, Ucommune’s second co-working office in Suntec City and The Great Room’s space in Centennial Tower," Tay observed. Flexible workspaces already take up 2.8% of occupied office space in Singapore (ninth highest in key Asia Pacific markets), after growing over 30% CAGR in the last three years. Flexible space appears to be more cost-effective than traditional office space in Singapore, Tay noted. "Our initial estimates show that a workstation in a typical flexible space in Singapore could be up to 50% cheaper than a workstation in a traditionally leased office. But co-working space is often much denser than traditional office space," she added. "When adjusted for density and like-for-like costs, the cost differentials decrease substantially or disappear altogether. In Singapore, when density is taken into account, traditional leases cost only about 5% more than flexible space leases," the analyst argued. Another factor driving tenant relocation and strong net absorption was the rental cycle. In Singapore and Jakarta, rents had declined since 2015 and are desynchronised from other markets in Asia. In JLL’s office rental “clock,” Singapore is in the phase where rents are rising. Office rental compound annual growth rate (CAGR) was at -7% in 2015-2017 and is projected to bound back to 7% in 2018-2020. Capital value CAGR was at 2% in 2015-2017 and is projected to jump to 5% in 2018-2020. Meanwhile, prime office rents started to recover in 1H2017 and are forecast to rise 20-25% over 2018- 2020, the fastest pace of growth amongst Asian cities.